JAYAPURA, Indonesia — The number of people killed after torrential downpours triggered flash floods and mudslides that tore through mountainside villages in Indonesia’s easternmost province has climbed to 79, with dozens of others missing, officials said Monday. 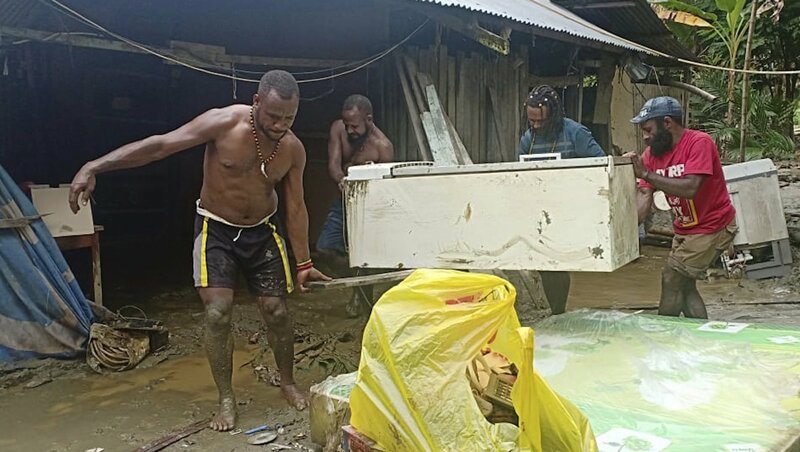 Floodwaters and landslides destroyed roads and bridges in several areas of Papua province’s Jayapura district following days of torrential rains, hampering rescue efforts, Nugroho said. “The combination of natural factors and human activities has caused this fatal disaster,” he said. Sunday’s quake triggered a landslide from Mount Rinjani and hit dozens of tourists at the Tiu Kelep waterfall located in the foothills of the active volcano, said Nugroho, the disaster agency spokesman. Indonesia sits on the “Pacific Ring of Fire” and has frequent earthquakes and volcanic eruptions. “The United Nations expresses its solidarity with the Indonesian authorities and stands ready to work with them as they respond to the humanitarian needs resulting from both natural disasters,” the spokesman for the secretary-general said in a statement.